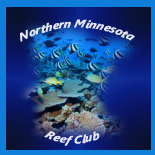 Let me know what you would like me to bring up Fish, Inverts, Corals, and Dry Goods. I will be placing an order for arrival the week of the event. Consider this a PreSale!!! I will have some extras but order here to make sure I have what you want. E-Mail me for pricing on specific items, I will be posting a price list here over the next few days. Re: April Second Frag Swap!!! I sent you an email today! I'll be watching here and will spread the word! It's going to be a fun event! Pricing for the common items. Please Email me for a fish list or other specific items and pricing, its just too big for posting on here! Ordering will close March 29 at 9:00am central. How we will be doing this is, for the first hour of the swap is presale pick up / claim! After that we will go to a first come first serve basis, we will do our best to get everyone their order as complete as possible, but we will not know what arrives until the order comes in. I can also order and bring some dry goods with just let me know what you want, ill get you a price. So I can get it ordered and in in time, Dry goods cut off is March 24th 9:00am. I can also do Frozen Foods, Cobalt Aquatics line of products, $5 per pack, blister packs. ok I have what is here and will be placing the order. I'm assuming you got my complete order, including the fish and inverts that I sent via PM?